« Stock Market Investors: Are Ya feelin’ lucky? But I’m getting a little ahead of myself. Part of the problem is these financial experts know nothing about the specially designed type of dividend-paying whole life policy used for the Bank On Yourself method, as I’ve demonstrated above. It’s not really their fault. Out of 1,500 major life insurance companies only a handful offer a policy that has all the features required to maximize the power of this concept. That’s one reason it’s not even mentioned in most industry training programs. And the fact that an advisor who helps a client implement a Bank On Yourself-designed policy takes a 50-70% cut in commission could be another reason why you haven’t heard of this before now. Learn how to find a Bank On Yourself Authorized Advisor who knows the best companies to use for this concept, and will structure your policy properly – even though it means taking a big commission cut. Fire your greedy banker and credit card companies and become your own source of financing – get access to money when you need it on your terms by answering just one question: How much do you want? 1. What is the interest rate you pay us ? 2. Is the interest earned monthly, annually, or by a contract ? 3. If we borrow back some of our own money from you, what interest rate do you charge us? 4. If we borrow back our money from you, is the interest you charge, simple interest, or compounded on the unpaid balance monthly? 5. We seem to be getting all the good news, what is the down side or bad news? The growth is both guaranteed and exponential. There is a graph that shows you how this typically works in comparison #5 of the section where I compare Bank On Yourself versus investing in the stock market. No two plans are alike, and each is custom tailored to the client’s situation, so your results would be different. The interest rate charge by the insurance company on policy loans is a variable rate (and is simple interest) that is typically lower than the rate charged by finance companies, etc. However, it matters little what rate the insurance company charges you. Here’s why: The interest paid on policy loans ultimately benefits all policy owners, in the same way they would benefit from all the investments the company makes, in order to deliver the benefits promised to policy owners. This is hard for many people to grasp, and I’ve been called a few choice names for saying this. But the proof is this: If you borrow from your policy to finance your cars, for example, and pay your loans back at the interest rate the company charges, you’ll end up with the exact same cash value as you would if you never used the money in your policy to finance anything. I just showed one person an example of this. If he used his plan to finance four $25,000 cars over a 16-year period, paying his loans back at the interest rate charged by the company, he ends up with $368,441 of cash value at age 65… the exact same amount he’d have if he never used the plan to finance anything. Except he gets to enjoy four cars by running the purchases through his plan knowing his nest-egg continues growing without missing a beat! In fact, he has the identical cash value at the end of each loan pay-back period, regardless of whether he uses the plan for financing. Also, when your plan is administered by one of the few companies that offer this feature, when you take a policy loan, your money in the plan grows as though you never touched a dime of it. I’ve been very clear that Bank On Yourself isn’t a magic pill. (There are none, in case anyone hasn’t figured that out by now.) It requires a little patience and discipline – traits that not everyone has. There is a start-up phase before the plans kick into high gear. It’s a one-time requirement that pays a lifetime of benefits. But with a Bank On Yourself plan, you’ll have significantly more equity in your plan in the early years (as well as throughout the life of the plan), than you would with a traditional whole life policy. To see what your bottom-line results could be if you added Bank On Yourself to your financial plan, request your free Analysis here. Pam- You you used the example of buying cars what about using this for real estate transactions. I’m a mtg broker and i see great value in this is there anyway to hook this up with getting a mtg or refi? also pls clarify: the interest you pay on borrowing agnst your policy goes into the insurance company pockets but in the end the more money the insurance co makes the bigger dividend it can declare for its members? where like borrowing vs 401k u pay interest to yourself. even if it cant be used for a mtg i can still crosssell this with mtgs as a savings tool. and what happens when one retires does this act like an annuity? Quite a few people use their Bank On Yourself plans to finance real estate transactions, myself included. Several of the folks who shared their stories in my book do this as do several of those who tell their stories on our website. Pay particular attention to the stories of real estate entrepreneurs, Suzi Hersey and Greg and Christy Gammon, on the website. The interest charges are not credited directly to your policy. That’s because they cannot be. Loans do not come out of any individual policy’s cash value, but from the company’s pool of assets or general fund. By the same token, interest paid on loans goes back to the general fund. The policy holder ultimately gets the benefit through a combination of guaranteed annual increases, plus any dividends the company pays. The best way to demonstrate how the policy owner ultimately benefits from the interest they pay on policy loans is by comparing the growth of a Bank On Yourself plan that is never used to finance anything against one that is. We compared a man using a Bank On Yourself policy to finance $25,000 cars every four years and paying the loans back at the interest rate the company charges, to having him not use the plan to finance anything, and thus owing no loan interest. All other variables are identical, including the premium paid. When he finishes paying back one car loan in the 12th year, he has $117,061 of net cash value, the exact same amount he’d have if he hadn’t used the plan to finance anything. Four years later, after repaying another car loan to his Bank On Yourself plan, he has $171,455 of cash value, again regardless of whether he finances anything through his plan. Four years later, he has $238,830 in the plan whether he uses it to finance a car or not. So, who did the interest he paid to the insurance company ultimately benefit? When you retire, you don’t want to turn the policy into an actual annuity, but you can start taking income from the plan through an appropriate combination of dividend withdrawals and loans against your cash value (which you will not repay, if you’re taking retirement income). You can request a referral here to a Bank On Yourself Authorized Advisor and receive a free, no-obligation Analysis that will show you the bottom-line results you could get. Can this concept be done in Canada? I have some experience with whole life in Canada and it wasn’t too pleasant and sold to me without a strategy. Interested in learning more. Yes, the Bank On Yourself Concept does work in Canada, although the products and tax laws are different. However, we do have Bank On Yourself Advisors in Canada who are familiar with the local laws and products who have helped many people implement this there. Request a referral to one of these advisors here. Hello, I am a College Funding Advisor working with the National Association of College Funding Advisors. I work with parents of high school students showing them how to apply for financial “need based aid” and if they don’t qualify because of income and assets, I discuss the benefits of using Whole life to accumulate cash to pay the cost of attendebnce at their college. In the “small world” department, the same organization (N.A.C.F.A.) also runs the Bank On Yourself Authorized Advisor training program, so you already know what a quality operation they run. And yes, the process and product used for Bank On Yourself works very well to help parents pay for college without going broke. Too many parents make the mistake of paying for college using funds that could have been used to fund a more comfortable lifestyle in retirement. I have a whole chapter on this in my book (chapter 10). The difference is that by running these purchases through a Bank On Yourself plan, you’re recapturing the full cost of it along with most or all of the interest you would have otherwise have paid a finance company or credit card. The policy referenced above actually has sufficient dividends accumulated in the plan well before that point to use the dividends to pay the premiums, rather than paying for them out of your cash flow. But we based this example on paying the premiums during the whole period out of cash flow. After all, the more premium you put in it, the more of your lifestyle you’ll be able to recapture AND the more money you’ll have for retirement – without the risks of stocks, real estate or other investments. A) The purpose is Life Insurance is to Pay when You Die! B) The BEST type of Life Insurance is the kind that is In-Force WHEN You Die! $100,000 paid up policy – the company invests in “conservative govt bonds” and receives a 3% return = $3,000. How does the Company guarantee/pay/increase my policy by 8 to 10%? The companies don’t guarantee an 8% increase. Someone in a 35% tax bracket would have to get a 7-8% return before taxes to equal the net return on a typical Bank On Yourself designed policy (under current tax law, you can take retirement income from the plan with little or no tax consequences). The cash value of a whole life policy is guaranteed to equal the death benefit at maturity (typically age 121 these days) AND the death benefit increases over time for several reasons, because of the type of policy this is and the features added onto it. These companies have been doing this for a very long time. By investing conservatively primarily in long-term, high-grade corporate and government bonds (and having sufficient reserves to be able to hold on to assets for very long periods of time, if necessary), and assuming your policy is structured correctly (the Bank On Yourself way), this can give you peace of mind, and a retirement income you can predict and count on. I used to work at a large mutual insurance company. 7, 8, or even 9% dividends are available at a few companies. People need to understand that a substantial portion of the dividend is simple a “return of premium” based on favorable claims experience. So, maybe 2-3 %of the total dividend is a portion of the spread between investment returns and agreed upon dividend, and the rest is favorable claims experience. Many if not most insurance companies will alert the client if the policy has become a Modified Endowment Contract (MEC) and give them a window of time to “Un-Mec” it by refunding the premium overpayment. If I understand you correctly, the more you borrow the more the plan benefits you but to make this simple for me to understand let me use an exaggerated example. If three people borrow from a pool and two pay back $100 of interest and the third pays back $1000 of interest, the pool now has $1200 of interest to return to the borrowers. If they all get an equal amount of $400, the one that contributed the most does not receive the most benefit. Am I on the wrong track here, do borroweres actually get a return based on what they paid into the fund? It doesn’t matter how much interest you pay on your policy loans. As policy owner, you ultimately recapture the interest you’ve paid. This is explained in detail on pages 53-54 and 68-69 of my book. What percentage OVERALL of your entire portfolio should be in a BOY policy or policies? Isn’t it fairly risky to put “all of your marbles in one (insurance company) basket” when you consider the default of giants like AIG and others over the past couple of years? Even with an AM Best top rating, aren’t these insurance companies subject to the risks of the economy as well and certainly could potentially fail just as any single business could? This would be my only concern in getting too far leveraged into a BOY policy or more than one BOY policy with the same insurance company. Any thoughts about this? Thank you. About 60% of my portfolio is in whole life insurance policies. I wish it was more – it’s about the ONLY asset we have that hasn’t disappointed us. I address the issue of AIG, and the multi-layer safety net life insurance has here – many people don’t realize AIG’s life insurance companies all survived intact, and, in fact, have been part of the solution, NOT the problem. Insurance companies are legally required to invest conservatively and are audited regularly to ensure they have sufficient reserves to cover future claims. They aren’t allowed to take the kind of risks banks and investment companies have taken and are continuing to take. Nelson Nash, who coined the phrase “Infinite Banking Concept”, is my mentor. The Bank On Yourself Authorized Advisor training and certification program is the only independent training program Nelson endorses. Since when has Dave Ramsey EVER recommended buying Whole Life insurance? He is in fact the biggest advocate AGAINST Whole Life that I’ve ever heard. Your misrepresentation of the FACTS on your home page puts your whole program on shaky ground right from the start. Read this before you go spouting off any more nonsense. Perhaps I can recommend a good reading comprehension course to you, as you clearly missed my whole point. I said (and PROVED) throughout my website that a Bank On Yourself-type policy is a totally different animal than the kind of policy Dave Ramsey, Suze Orman, etc., talk about. I also clearly say that I’m so confident they’ll come around once they take the time to learn about this, that I’ve reserved a spot for their future endorsement of Bank On Yourself alongside the trusted experts who already endorse this. You know its funny…even though Dave does not really like the Whole Life policy, he sure advocates paying yourself back and buying cars like a Wholelife “tax Deffered” policy, except that his version will be taxed and a properly structured B.O.Y. won’t. The only difference….A whole life policy will grow larger and have less fluctuation than the stock market. I’d seen this video before and the holes in his logic are big enough to drive a Mac truck through ‘em. Taxation is one thing he left out, as you mentioned, as is the certainty and growth you get with a Bank On Yourself-type whole life policy. But there’s a whole bunch more differences, which is why the $100,000 cash reward I’ve put out there remains unclaimed. I have money in IRAs and i want to get the money out and start the boy with it. Can this be done? I am in my mid 50s is it to late to start a boy acct? It is possible to do that, but you need to review your options closely. Mid-50’s is definitely not too late to start – in fact, policies on people between the ages of 45 – 55 or so, grow very efficiently. I strongly urge you to speak with a Bank On Yourself Authorized Advisor who can look at your situation and make recommendations, as well as show you the bottom-line results you could get . You can request an Analysis and get a referral here. This is a life insurance policy, right? How much am I going to have to pay or put into it every month? Yes it is and you can start at whatever level is comfortable for you. To find out what your bottom-line numbers and results could be if you added Bank On Yourself to your financial plan, request a free, no-obligation Analysis. This is a ridiculous attempt to compare whole life insurance to the “stock market” after the worst decade. I can show you how investing blows the pants off whole life using investing basics. Balanced Funds. How many funds do you want that have produce 10% per year compounding average to convince you? Some comments are so juicy, they are worthy of their own blog post. Geez Tob, well most people are not really good investors. And assuming people are good market timers, you “might” be right. But then again have you ever heard of “Survivorship Bias”. Look it up…It will make you think about all those funds and managers screaming 10% homeruns. Also as a note, there is only like 1 stock that is still the same in the DOW, so numbers can be inflated quite a bit. Is there an age limit? I’m nearing 70 but still working. Age 70 usually isn’t too old to start. And there’s a good chance you could live at least 30 more years, so you want to make sure your money doesn’t run out before you do. To find out how the Bank On Yourself program could benefit you, request your free Analysis here and you’ll get a referral to a Bank On Yourself Authorized Advisor. Good luck on debating Mr. Ramsey regarding the BOY concept. Anyone with six weeks of distorted life insurance training is incapable of grasping the historical significance of permanent life insurance let alone the BOY concept. Keep up the great work, Pamela! I’ve read the book, created my goals. Have term insurance that will need to be replaced in 3 years. Had past advisors (not bank on yourself) that I’d rather not discuss. I’m ready but here is my concern. At this point I would like to have an advisor thats been doing this for awhile. How can I make that happen? I understand your concern. There are only approximately 200 advisors who have qualified for and completed the rigorous training necessary to become a Bank On Yourself Authorized Advisor. As I mentioned in my book, these advisors work under the direct supervision of Bank On Yourself policy design specialists who have each personally designed literally thousands of policies. So when you are referred to a Bank On Yourself Authorized Advisor, you are in good hands. You can get a referral to one when you request a free, no-obligation Analysis. While the techniques being promoted are intriguing, it is disturbing that you are closely guarding the names of the MAJOR insurance companies who can provide these types of policies. Annual statements are nice but will the insurance copmany be around to pay the ultimate death benefit many years down the road? That’s my worry. I’m not a licensed financial advisor, I’m an educator. As such, I’m not legally allowed to recommend or even list specific companies. I can tell, however, that the Bank On Yourself Authorized Advisors only use companies that rank in the top 3% of all insurance companies in terms of financial strength. And they have all paid dividends every year for at least 100 years. You can also learn more here about the multi-layer safety net life insurance companies have. I listened in a few years ago on the Nelson Nash training you sponsored, and I have personally met with Nelson at his home for some one-on-one discussions. I have not implimented Infinite Banking in my planning practice as of yet, but I’m looking again. If I understand things correctly, Nelson’s “coaching” in Birmingham is more oriented to the consumer and your training focuses on the producer. Is that correct? The Bank On Yourself Authorized Training Program is considered the gold standard for financial advisors, and it’s also the only independent training program for advisors endorsed by Nelson. It includes rigorous training in the concept, products, how to structure the policies to maximize growth, and how to coach clients to use the policy throughout their lifetime. As soon as i read that your long-winded and boring program is tied to whole life insurance, i realized it was a big scam. I did not finish the book. Thank God i did not buy it, but borrowed it from the library, then returned it very quickly. Long live Dave Ramsey, and Suze Orman, and God Bless them. Some years ago, I heard of a concept called “Bank On Yourself” and obtained a booklet. I believe it was conceived by a gentleman named Nash. I presume there is a connection. Could you explain what it is, please. Nelson Nash is one of my mentors. I am interested in this concept on behalf of my adult grand-children, all of whom live in Great Britain. Would this translate? If you are the owner of the policies, I believe it would work. You should discuss the specifics with a Bank On Yourself Authorized Advisor by requesting a free Analysis here. The only question I have is with regards the tax benefits of investing in the dividend paying whole life insurance. The results are always comparing the IRA after paying taxes when withdrawn and the insurance policy withdrawn without paying taxes. It seems to be a great product and the results are great, but the tax benefits are not as fantastic as usually stated. Can you tell me what direction taxes are going over the long-term? If you’re like most people and most experts, you think they’ll go up. In which case, if you’re successful in growing your nest-egg in a tax deferred account, you’ll only pay higher taxes on a larger number. I like paying my taxes now, while I know what they are. In addition, tax-deferred retirement plans are government-sponsored. That means the government controls them and can change the rules and penalties anytime they want. They are considering changes right now. Bank On Yourself is about taking back control of your financial future from the government, banks and your employer. Furthermore, saving in a Bank On Yourself plan comes with 18 major advantages and guarantees. I encourage you to compare your favorite strategy to Bank On Yourself. If you can match or beat Bank On Yourself, there’s a $100,000 cash reward waiting for you! No other life insurance product comes with as many guarantees as whole life. I think you will find this fair and balanced comparison of whole life against universal life very informative. In addition, here are 4 reasons why indexed universal life is not an appropriate product when you want guaranteed, predictable growth, and/or plan to use the policy for the purposes of financing. Pamela — what about the fine print of these policies. They have admin fees ~4% and loan interest rates ~6% which is great if you realize that you are effectively borrowing against a 500% or more death benefit. The IRR ends up being 3% if purchased today, right? Most of the magic is in the contribution uptick, not the earning uptick, so it’s just a machine to allow you to put more into it, not to get more return out of what you put in. If you put $1000 in the S&P 500 index in an IRA on January 1, 1989 and withdrew it upon retirement on December 31, 2009 (assuming you’re over 59 1/2) you’d have around $1093 which would then be taxable. If you put in $1000 a year, you’d have the 20,000 of contribution, but you’d also have something then like $21,000 more earned pretax vs. about $7000 more earned at 3% tax free in nonpar, nondirect recognition whole life policy. The devil’s in the details, but please call a spade a shovel and acknowledge the fees and actual return rates. I’m guessing you’re an insurance agent. Like many agents, you don’t understand what a paid-up additions rider is or how it works. It doesn’t just let you put more into it. Your cash value grows much faster, and you have a much higher internal rate of return. Please read chapters 4 and 5 of my best-selling book for a better understanding of this. Also, check out this blog post I wrote on what the rate of return actually is on a Bank On Yourself designed policy. Pamela — thanks for responding. You are making assumptions and generalizations with not much actual data to back it up. You claim 8%, but don’t quote actual data. I merely did some illustrations and looked at competitive data with an agent of a top Fortune 500 mutual carrier which has the PUAR and NDR. I do have an MBA, but please don’t hold that against me. I also made a mistake on the projection above since it was late at night. My bad and I apologize if it confused some people. $1000 invested in the S&P in a IRA-like account for the 20 year time frame from 89 to 09 would have grown to $5427, not $1093 — even with all the swings in the market — equating to 9.27% compounded. Yes there is tax you’d take out at the end for both S&P examples.So after 35% tax hit from an IRA withdrawal, the $5427 would be around $3528 or reduce it to around 6.51% compounded. I’m not going to do a rate for the $1000/yr for 20 years but the uptick after 20 years is $5427 before-tax and $4666 after tax vs. the base 20K contribution, It’s a tad more for the same reason the PUAR increases things in your policy. But don’t claim the contribution as a return, that is, don’t claim the $25,427 as a return. The best insurance carriers don’t and they’re doing fine. The base policies for topmost mutual whole life carriers are themselves quoting 3 to 4% IRR in recent sales literature on the same 20 year time period on a $250K policy, The PUAR accumulates more through contribution, plus slightly more compounding on that at the same rate, but since there’s more to compound earlier, it grows faster. It’s all good. Just not as good as you’re claiming. Somewhere between Ramsey and BOY resides the truth on these very special policies. Safety and death benefit works for me. Getting a 1.5 or 2.5% loan using insurance as collateral works for me also. As does the tax deduction on that interest. So I think you can beat BOY with the S&P during the last 20 years by a smidgen. I don’t want the $100K, but I’d like a clear illustration for the last 20 years. I appreciate both your skepticism and your attempts to get to the bottom of this, so to speak. Let’s look at it this way. As you correctly stated, base policies for most top mutual whole life carriers show a 3 to 4% internal rate of return (IRR) currently. Say that advisor who sold you a policy designed it the traditional way – your premium is ALL base premium (nothing going into the Paid-Up Additions Rider), and let’s say your premium is $500/month. Now let’s compare that against a policy with the same premium, but this one was designed by a Bank On Yourself Authorized Advisor. Your total monthly premium is still $500/month; HOWEVER 60% of that – $300 per month – is going into that wonderful Paid-Up Additions Rider. 94% of that $300 goes to work for you immediately (it’s buying you additional fully paid up coverage or death benefit at the lowest cost, which then accumulates its own cash value and dividends). Now I don’t have an MBA (but please don’t hold that against me either :)), and I’m not great at math. But it seems pretty obvious (to me anyway) that if most of 60% of your monthly premium is now growing in the most efficient way possible in a whole life policy, the 3-4% IRR you’d get in an all base premium policy could easily be increased by at least 50%. Which means your IRR is easily going to be 4.5% to 5.8% – even though you’re putting in the exact same total amount of $500 per month. And, since it’s possible to access that equity without tax consequences under current tax law, just as I originally stated, someone in a 35% tax bracket would have to get as much as almost 8% in a taxable account in order to net what they would be getting in a properly structured Bank On Yourself-type policy. You’re welcome to check my math, however, you’ve already admitted several mistakes in your own calculations, so I’m not going to put a lot of faith in any new ones you come up with. Some companies’ software can calculate the IRR, based on various factors, such as if there’s a Paid-Up Additions Rider and/or if you’re using the policy to finance things, etc. I have seen the calculations, but I do not get into posting illustrations and IRR calculations for many reasons, including the fact that I’m not a licensed insurance agent, so I’m not supposed to. I can tell you are “sold” on several of the benefits of this product/method, but if you think Bank On Yourself and my $100,000 Challenge is about ‘rate of return” and being able to beat the S&P 500, you’ve missed maybe 90% of the point of this whole concept. So, please take the Challenge, read my book and this website and then you’ll know at least 15 reasons why Bank On Yourself makes the best financial foundation of any financial product or strategy. Actually, again I made a mistake. It was $6870 return after 20 years @ $100/yr and $26870.as the combined contribution which equates to the $4666 after 35% tax reduction. This forum is a rough way to get a point across. Whether the math is absolutely correct, I hope you appreciate my attempt to differentiate between compounded growth of a fixed rate, a varying rate with and without taxes of a passive amount like $1000 vs. a dollar-cost averaged $1000 over 20 years and backing out the return. PUAR does not add net compounded rate, it adds contribution and time for compounding on that additional contribution.. Gotta go. Best of luck with your policies folks. Ask your agent to lay everything out in detail and provide competitive data like women in white on TV does for auto insurance. .
Well I don’t know about you, but my investments go for over ten years. Can you show us the rate of return for the last 20 yrs, 30 yrs, etc. in the stock market? Your example is as week as the example the gold companies use, they just don’t tell you that you will be taxed 35% when you sell. And how dose your “insurance” gain interest? It sounds like a Madoff scam, the more people you get in the more you can pay out, as long as everyone doesn’t pull there money out at once. So YOU the insurance company doesn’t invest in the stock market? Really?? Sorry, basic facts, the stock market goes up 12% per year on avg, just look for yourself. Next fact don’t “play” the market like a craps table in Vegas, you will loose your money I promise you will. Fact 3 if the stock market completely crashes, that is apart of your sales pitch, everything will cost so much it won’t matter where you have your money. Only then will the gold barons be right. If you truly want to bank on yourself then invest in your companies 401k (at least up to what they match) then when you want to take a loan “borrow” from your 401k. The interest you pay will be to YOUR 401k not to a bank or a insurance company, and the fee is only $150.00 ONE TIME at the point of set up. If you are hurting, like I am, learn this lesson well, “only the banks and insurance companies can win when you borrow from them”. I have learned my lesson. If I don’t have cash I don’t NEED it. Just my 2 cents. Your numbers are way out of date. They also disregard investor behavior and costs. And comparing something that’s existed for hundreds of years to a “Madoff scam” is a stretch, to say the least. Obviously you don’t have clue about the hidden costs and pitfalls of investing in a 401k. And you haven’t read my book or done your research, or you’d know that the interest you pay on policy loans ends up back in your policy, if you’re using a dividend-paying, non-direct recognition policy. Much too much BS and no facts. Show me the facts!!!!!!!!!!!!!!!!!!!!! If you’re too lazy to click on the links in this post that lead you to the proof, we can’t help you!!!!!!!!!!!!!!! Over time, the total return on stocks has exceeded that of any other class of asset. Which compares the total returns to stocks, long- and short-term government bonds, gold, and commodities (measured by the Consumer Price Index, or CPI.). One dollar invested in stocks in 1802 would have grown to $8.8 million in 2003, in bonds to $16,064, in treasury bills to $4,575, and in gold to $19.75. The CPI has risen by a factor of 14.22, almost all of it after World War II. from Jeremy J. Siegel is the Russell E. Palmer Professor of Finance at the University of Pennsylvania’s Wharton School. And as far as a 401k goes I can only speak for myself, in the last 14 years I have invested 6% of my income and been matched 50% by my employer. I have gone over the numbers and for some reason I keep making money. I have read your reasons why not to invest in a 401k but why would you give away money your employer is willing to match? Maybe I am in the only good 401k out there. And according to the US tax code, selling gold is considered a collectible and because of that you will incur a 35% tax, that is in the 2009 tax code, I bet it will be in the 2010 code as well. As far as Dave and Suze go, they are right, you should never use a credit card or buy a car on time. There is NEVER a good reason to, unless you want to give your money away. Only the banks win when you do, been there done that. I guess I will keep getting confused by the facts, thank you for your time. You bring up several interesting points. So interesting, in fact, that I’m going to devote an entire blog post to addressing them – stay tuned. In the meantime, an article appeared in yesterday’s Wall Street Journal that calls into question the good Professor Siegel’s stats you cited. Here’s a link to that article, titled, Ten Stock-Market Myths That Just Won’t Die. See Myth #2 for the low-down, but the entire article is well worth reading. See my response to the post below. And, yes, it could take five or more years for the cash value to equal your premiums paid in. But you don’t have to wait ’til then to use or benefit from it. I noticed that there was an initial waiting/investment period before you would start to see results. I was just wondering how long that initial period is? I invest ten percent of my pay to my employers 401k plan. They only match 3 percent up to my 6 percent investment. The other 4 percent is not matched. Would this be a better investment for me? I’m 42 years old now, so I have a few years left before I retire and would like to see alittle more movement towards the positive with my money. You can use the policy as a powerful financial management tool right from the start. The growth is slow in the first few years, but picks up steam and then turns into a screamer – just when you need it most (retirement). The description of your own situation is very similar to that of a Bank On Yourself client I am interviewing next week for this blog. He will explain why he cut back his 401(k) contribution to what his employer matches – and why he’s considering stopping funding it altogether. He has already started seven Bank On Yourself-type policies and is paying $60,000 a year into them. Stay tuned for what promises to be a very stimulating interview! As a Dave Ramsey trained Financial Coach, for now I think I have to stick with the buy-term-invest-the-difference approach recommended by Dave Ramsey, Ms. Orman, and pretty much every well known financial “guru” ever. I will look into this, so I don’t want to seem too dismissive. One question I have though is, why would Dave, or any other expert continue to dismiss concepts like this if they actually were better? Do you think they just are too lazy to look into it, too proud to admit something new is better, or they actually just want people to end up in a worse financial situation than they otherwise could? None of these seems likely to be true of EVERY famous expert, so perhaps there’s a bit of “too good to be true” about something? Just my initial thoughts. I am glad to hear you say “you will look into this.” I have PROVED on my website and in my book how Bank On Yourself-type whole life policies are different from the policies Dave, Suze and the others talk about, using direct quotes from their books, and comparing them against actual policy statements. The differences are clear and profound. I have also explained the main reasons why Dave, Suze, the other experts and MOST financial advisors have never heard of this. I have also said it’s not their fault they received no education or training on this, because very few companies offer it, and it’s not even covered in the training programs advisors and insurance agents have to take to get licensed. It’s also not covered in the training advisors take to get their advanced designations, such as CLU, ChFC, etc. I’ve seen many 35-year plus veterans of the industry say they never heard of it. The conclusion they draw is that that must mean it doesn’t exist. I do know that Dave Ramsey was asked about this at least once on his radio show, and he responded by dismissing it out-of-hand by saying it’s just another way insurance agents have concocted to separate people from their money and earn big commissions. 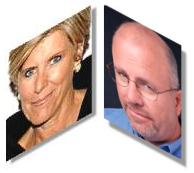 The same has been true – so far – about Suze Orman and the others. So, I will leave you to draw your own conclusions about this and what their motivations are. As far as Bank On Yourself being “too good to be true” – whole life policies remain an asset class that has increased in value every year for over 100 years. All growth is locked in and does not vanish in a market crash. I challenge you to say that about the other ways of saving and investing recommended by Dave, Suze and the others. And I welcome you to do your due diligence – if you really keep an open mind, it will change you forever. How can you guarantee this is not another Ponzi Scheme? Life insurance has been around for over 200 years! And they have very strict rules about what they can invest in and how much reserves they have to have (unlike banks and other financial institutions). If you want to talk about “Ponzi Schemes”, let’s talk about Social Security and Medicare… get real! I have a question. Say I am able to my pay my premiums in fully at policy signing. I have my policy for 5 years and something happens I die. Does my family get both the death benefit and the cash value? Or just the death benefit? If so where does the cash value go? I explained that in Key Difference #2 in the post you commented on. You will also find a link there to one of my own policy statements showing how, if I were to die on the day the statement was issued, my family would get the original death benefit, PLUS all the cash value, plus some extra. I respect Dan Browning with the Star Tribune paper. It would be great if he could take a look and write a story on this concept. Yes, it would be great. Why don’t you bring it to his attention? What if I don’t need life insurance? How is this better then me putting money in my checking account earring zero, then using the money when needed? If I pay $1,000 per month to a policy, then need $36,000 one year from now, it would not all be available to me in your plan. If I did take a loan from one of your policies, I would still have to pay my $1,000 per month PLUS the payment on the loan….ouch! Please clarify the benefits if you don’t need life insurance, versus banking on yourself with a checking account. Although the Bank On Yourself method does involve a life insurance benefit, many people use this method for reasons other than that. That said, I have seen few situations where a death benefit wouldn’t be of some value – whether it goes to your children, grandchildren, etc. and/or to your favorite charity. I have heard it said that if you care about something or someone, you need life insurance. Bank On Yourself provides a great rate of return without the risk of traditional investments. And find out why Bank On Yourself is better than debt free. Although it is up to you as to whether you want to repay your loans, and how you wish to repay them, you can maximize the growth of your policy by doing so. (Unless you’re taking retirement income). Even if you were using the money from a savings or checking account, you would have to essentially repay the money. If you can’t afford to replenish your account and make monthly payments, then you can’t afford to buy that item. My wife and I read your book, and agree with your message. In fact I have placed permanent life insurance products in the portfolio for hundreds of clients over the past 2 decades. I now have a nationally syndicated radio show called “Ballancing Your Budget” where we compete head to head with people like Dave Ramsey to get the truth out to the public about our shared message. I’d like to invite you to be a guest on my show some time so we could discuss these issues, and help everyone who listens understand that we aren’t trying to sell product, just educate them about the bad information that’s so freely given by entertainers. Please get back with me ASAP about when you might be available to join me on the show. Keep up the good work! I have cheap term insurance in place until I can access my large 401k plan. Back to my example above of paying $1,000 per month premium vs $1,000 to a checking account, and taking a $36,000 loan 3 years into the policy. My premium is still $1,000 PLUS if I pay $1,000 to pay back the loan my cash flow is now $2,000 per month. If I put that same $2,000 into a checking over the next 3 years I would now have $72,000 to use again. Would I have $72,000 available in your L.I. policy 3 years later vs my checking account? (6 years premium x $12,000 = $72,000 plus 3 years loan repay of $12,000 = $36,000 to total $108,000). $108,000 paid into my checking over the same time will leave me 72,000 cash available after 6 years, now if I choose I can go buy another $36,000 car, leave $36,000 and add another $72,000 over the next 3 years. If you need $1000 a year from, now..then this is not for you. Its about suitability. And, neither would your precious 401k plan have the $1000. People typically expect short term quick fix results for long term products. So your post is meaningless. Not sure what you mean, Robert. Suitability is very important, but many people have accessed $1,000 or more from their policies within a year of starting them, without any problems. It all depends on the what and why. And I agree this is not a short-term fix – I’ve always said it takes some patience and discipline. Pamela..I was replying to the prior commenter(sic).. Always liked the concept Pamela, but I think there is some fuzzy math that has always bothered me. One was the aspect of over-funding the policy up to MEC guidelines. I remember reading in Nash’s book that you could fund a banking policy, and then when you borrow and repay, you could pay the insurer’s interest rate (whatever they charge) plus an additional amount of interest. I think he counted that as part of the rate of return which I found troubling (though it’s been a while since I’ve read his book, admittedly). Another issue is that there’s only so much you can put into a policy before you MEC it, so you’d have to buy another policy or figure out what to do with the overage which might only be an additional $50 a month or something small like that. There was no perfect solution for that (I think it’s just that regulations prevent it). The other issue is with your math (well it’s common, really with everyone explaining this). At one point you said a BOY policy earned 4.5 to 5.8 percent IRR. Elsewhere you comment that a person in a 35 percent tax rate would have to earn 8 percent or so. I think I see how you get your numbers. You add or subtract 35 percent. But, 35 percent is pretty high first of all even for marginal rates at this point. Combined state and federal might seem more reasonable depending on where you live. But that’s the marginal rate, not the average tax rate. Fill in the lower brackets first and your taxes come down. I think the taxable yield would be a little less. Still a good point, but I think the numbers are a bit off. One last issue that I keep scratching my head on is the use of a life paid up at 65 (or even 100) and using the PUA rider. If you get the policy to a point where the policy doesn’t require premium payments any longer in 6 or 7 years, every single illustration I’ve ever run from multiple companies shows that you must surrender some of the PUA insurance while directing some of the dividends towards the payment of premium. It doesn’t force the cash value to go backwards of course, but pulling up the IRR report shows that it drags down the efficiency of the policy unless you continue putting premium into the policy (presumably if you start taking loans immediately). If you just let the policy sit there, though, it creates some inefficiency I think since the dividends are trying to accomplish two different things in addition to having to surrender some of the paid up insurance. I’m guessing as to why the drop in IRR happens, but that explanation seems logical. This doesn’t seem to happen at all with a limited pay policy of 10 years or *that one company’s* custom whole life product where premiums only go on for a certain period of time before the policy is guaranteed paid in full. The IRR is also higher when compared to the longer premium paying period, which makes sense. More money on a compound growth curve in a shorter period of time. I don’t know if you would care to comment on any of this or if you’ve had different experiences? Thanks for your questions, David. I don’t know how anyone else calculates it, but when I talk about the internal rate of return in one of these policies, I’m not counting paying extra into the Paid-Up Additions Rider or PUAR (it’s not actually interest, as I’m sure you know). There are ways to structure policies to allow more to go into the Paid-Up Additions Rider, and when you hit that limit, there’s nothing wrong with starting a new policy. Multiple policies give you greater flexibility when it comes time to take income. Regarding the taxes – what direction do you think tax rates are going to go over the long term? Most Bank On Yourself Authorized Advisors don’t structure policies the way some people describe – paying premiums out of pocket for 6 or 7 years and then letting the policy pay them using dividends and PUA’s. That’s because the more premium you put into them, the better it is for you and the more you’ll have for retirement and other uses. Would you pay into a 401(k) plan for 6 or 7 years and then expect to rely on just the growth for future funding? No. So, it doesn’t make sense to do that in many cases with these policies. And nothing grows your cash value more efficiently than the premium you put into the PUA Rider, so that’s why BOY Advisors try to max that out, depending on the client’s needs, goals and situation. Sometimes a limited pay policy may make sense, though. Policy design is not my area, but I can assure you the Bank On Yourself Advisor have looked at all the different ways to “skin a cat” to determine the most effective ways. But, when calculating taxes, I think it would be better to show the average tax rate, not the marginal rate, since average tax rate is what counts (that’s the tax you actually pay) when calculating the taxable return vs tax-free return. Unless you are comparing it to an investment subject to capital gains, then you’d want to know the capital gains taxable equivalent. RE: funding a policy in 6-7 years. I’ve seen this illustrated throughout Nash’s book. I know you might teach something a bit different. But, I do know that the “capitalization phase” lasts only 6-7 years. If you don’t start borrowing and repaying after that last premium paying year then PUAs and dividends go to pay the premium. Would be nice to see D.R. or S.O. in a debate. I don’t think they’d be too good on the facts, given what they promote right now. 1. Nelson’s book was written prior to the innovation available today. Now we can shorten the capitalization phase to one or two years. 2. You do not have to wait to start borrowing; it can be done in the first year. 3. Whole life base policy premiums have to be paid for the length of the contract unless they are reduced paid up. b) Asset accumulation: With primary goal asset accumulation, for retirement funding Financing is an added benefit. **Apologies, What I meant to say is that I know that in Nash’s book the capitalization phase is illustrated for 6-7 years (roughly). Thanks for your reply Pamela. I think I am familiar with those funding strategies. I am not familiar with such an extremely shortened premium paying period. That seems awfully short for a whole life. I have seen in done on UL contracts in 3 years. and 5 years for one particular whole life without using PUAs to pay premiums afterwords. I suppose if the insurer has a way to stay compliant with the CVAT or GSP test it would be nice to capitalize a “bank” in 2 years. I am 70 with 5 years left on term policy. What would be the average price of obtaining a BOY policy, say, 500,000 to 1,000,000? What would be the approximate income guarantee and dividends available over the next 5 years? Is there an mandatory exhaustive medical evaluation needed? I am not a licensed financial advisor and thus am not allowed to make recommendations. A Bank On Yourself Authorized Advisor can help answer all your questions and would undoubtedly need additional information from you first. You’ll get a referral to a Bank On Yourself Advisor when you request a free Analysis here. What’s missing from all of Pamela’s responses is: What is “guaranteed” as long as money has been borrowed from the policy? The answer is LESS DEATH BENEFIT. The unpaid loan amount and unpaid interest will be recapture from the death benefit before it is paid to a beneficiary. What else is unsaid is how long it would take to accumulate $25,000 to buy that car (or those four cars) she is so fond of discussing. A 30-year old who buy a $1,000,000 whole life policy today would pay about $10,000 per year in premiums, and would not have $25,000 of loanable cash value for about 6 year. If they borrowed the full $25,000, but did not repay the loan, it would take another 5-6 years to amass another $25,000. There is no magic here. That $10,000 could go into a shoebox — earning exactly ZERO PERCENT — and in 3 years you’d have the $25,000 to buy the car. And two years later, you would have enough to buy another car. But you would not have a $1,000,000 death benefit either. As the old saying goes, You Can’t Eat Your Cake and Have It Too. The dialogue in this blog is rather different than the marketing hype on the home page. That’s the difference between listening to someone who knows what life insurance is, and someone who sells life insurance AND knows how it works. The “guarantees” mentioned on the home page quickly fade when you read other parts of the website. Max, thank you for (once again) confirming my statement that most financial advisors and insurance agents have no clue how dividend-paying whole life insurance works, let alone how the supercharged policies used for Bank On Yourself work. Clearly, you haven’t taken the time to read this blog post or look at the actual policy statements we posted here to prove our points. You’ve also missed all the examples of middle-income people who (due to the way Bank On Yourself policies are structured) were able to accumulate enough in their policies to finance a car themselves in a much shorter period of time then you spell out. You also don’t understand that the death benefit of these policies grows exponentially, just as the cash value does, potentially far offsetting any depletion of your cash values created by policy loans. I give a good personal example of this here. The saddest part of this is that you actually seem to believe you know it all. Pity for your clients. By using a whole life ins. policy from a “non-direct recognition” mutual ins. co. as BoY does, your beneficiary CAN and WILL receive the $1 million dollar (and more!!) death benefit by using two dividend options: 1) buy a 1-yr term ins. policy equal to the cash value and use the remaining dividends to: 2)buy paid up additions (PUAs). I am surprised that Pamella Yellen or Rose H. have not mentioned this concept in their reply. Let’s use an example of someone buying a #1 million death benefit. After several years, that $1 million dollar death benefit would have increased to say, $1,200,000.00 by the addition of $200K PUAs. Also, let’s say that there is slightly more than $100K in cash value and the insured were to borrow $100K and then dies before he has a chance to repay that loan. The ins. co. would subtract that outstanding loan of $100K from the death benefit BUT WOULD PAY THE $100K 1-YEAR TERM INS. TO THE BENEFICIARY THUS, CREATING A “WASH” so that the total death benefit would still be $1,200,000.00 !! This feature is only available with a whole life ins. policy from a mutual ins. co., thus, making the whole life ins. the BEST financial product ever invented by man!! The title of my book: “The Great Retirement Hoax: an indictment of universal life ins. (traditional indexed), the ins. companies that offer them, and the sales people who sell them” which you can purchase online from Amazon.com. Agree with you about how Universal Life and Indexed Universal Life insurance are not the magic pills they are promoted as, and have written in-depth exposes of both. I just stumbled across this post and noticed Max’s comment…. Just “for fun” (I work at a company that designs BOY policies), I ran a sample illustration on a 30-year-old male, putting $10,000/year into a policy until retirement age. He was able to take a $25,000 loan in Year 5. Of course we would never teach our clients to take loans without repaying them, as, for anyone familiar with the concept, we know this is essentially “stealing” from yourself – and your retirement! However, just for the sake of Max’s example, I did not show any loan repayments. The example client in this case would be able to take another $25,000 every three years, until age 59, without making ANY loan payments – he is only paying his annual $10,000 premium. At Age 65, his death benefit is just shy of $925,000 – this is net of any outstanding loans – so this is what his beneficiaries would receive if he were to pass away at that point. Remember he has taken out $225,000 ($25,000 x 9 cars), free and clear (about the same as if he saved it in that shoebox Max mentioned). He ALSO has pretty close to a million left in death benefit. What I’d like to know is what happens to the death benefit for this example after age 65. In my case, I took out a 30 year level term policy at age 40 with a premium of $558 per year that does not increase, for a death benefit of $500,000 (that does not decrease during the 30 year term) so up to age 70 I have a $500,000 death benefit for a cost of $16,780 in total premiums. The man in the example had nearly double the death benefit for his beneficiaries at age 65, but had to pay $125,000 ($350,000 less $225,000 loaned back to him) for it. It seems to me that I have the better deal here. All the premiums you paid into it are gone, too, of course. There is no comparison between term and dividend-paying whole life, which is a policy you don’t have to die to win. These policies grow your nest-egg safely and predictably, allow you to become your own source of financing, and much more. Yes, they have a death benefit, too, but it’s the living advantages that make Bank On Yourself unbeatable. That’s why the $100,000 cash reward I’ve offered to the first person who has a strategy that can match or beat it remains unclaimed after 3 years. I’m not sure if I’ll get a response since this is over a year old, but it’s still worth a shot. I don’t believe companies do things out of the “goodness” of their hearts. With that said, I don’t see how the company is benefiting. I am obviously on this website because I am uneducated when it comes to BOY’s but the general rule is, if something is to good to be true then it’s not true. Again, I don’t see how a company would benefit from providing benefits like these, and if the company doesn’t benefit on paper, then almost guaranteed it’s a scam. Can someone tell me how this company can afford to do this and make a profit? There are plenty of websites where you can learn the basics of how life insurance companies operate. They are VERY good at over-promising and over-delivering. The companies used by the Bank On Yourself Authorized Advisors have been in business over 100 years. They make a profit (as they must) and excess profits are returned to the policyholders. Where does the insurance company get the money to make these payouts? Sounds like Voodoo accounting, yet another pyramid scheme? Again, where does the insurance company get the money? Can they print it? Invest it in treasury bonds? Mortgages? Corporate bonds? Stocks? Options? Are they selling short? Do they invest my money and then leverage 10:1 and hope things go up? Do they get the money from me today to pay those who bought in last week? Just where does this golden goose live. Tell us and we can all get the eggs for free but, I doubt you will do that since it seems to be a big secret. If they are not a central bank like the Fed which has been granted the power to print money, they can only get the money from the same places everyone else can get it. And, they can get it without paying brokers and insurance companies. So, I will give you one more opportunity to explain where the money comes from. What was your name again,,,,,,, Patty Madoff or something like that? In a nutshell, life insurance companies are strictly regulated and must have reserves on hand to pay future claims. They are not allowed to do “fractional reserve lending” like banks are, where they can loan out the same dollar 10 or more times. You can learn more about the safety of Bank On Yourself here. Yes Pamela, that is a major point-fractional reserve lending simply awaits a government bailout from tax payers which may not come if your bank is in trouble. Of course your mutual fund stock investment has no bail out when it tanks. Putting your risk into a life insurance contract via equity funds is basically madness in my mind. I think your money has different jobs to do. A stable dividend paying mutual life insurance company has many living benefits if I get short on cash. I have money in a commodity account-ONLY money I can afford to lose. It’s simple math. Insurance companies make money primarily through bond purchases, stock options and policy loans. The concept of insurance is to have many more people paying into their policies than the insurance company has to pay out as interest and death benefit which makes life insurance the #1 financial class in the world. They calculate through statistics the odds of an applicant dying by a certain time and adjust the premium accordingly. When you take out a loan against your BOY policy the insurance co. charges interest but the KEY about a non direct recognition policy is the cash value is still earning interest as if you have no loan at all. Which makes the interest you pay on your loan effectively lower than a bank of credit card which have NO death benefit! Let’s take it a step further. When an insurance company pays a tax free death benefit to your beneficiary(s) Where does the money go? It usually goes to a younger survivor who would then also be able to afford their own Insurance policy completing the circle. So a beneficiary would be wise to do a maximally funded policy (which BOY has perfected) and then open up as many BOY policies as possible for their spouse and children. etc. I am amazed to read arguments like taking a policy loan and not paying it back would reduce the death benefit if you die so BOY is a bad idea. So let me get this straight. If I save my seed money in a bank account earning zero interest and having zero death benefit and then spend my seed money to buy something leaving me with only a depreciating asset OR keeping my seed money in in a bank with zero interest zero dividend and zero death benefit and then borrowing my own money from the same bank and paying a much larger spread on the loan somehow is wiser than saving my seed money in a dividend paying, interest bearing and death benefit providing policy and then continue collecting interest on that seed money even though I’ve borrowed against it and still have a death benefit that is greater than the seed money I’ve deposited even if I never pay the loan back is a bad idea? People fail to realize that your money must pass through time continuously earning interest to experience exponential growth. Every fee, tax, expenditure (spending which is called opportunity cost (lost) and inflationary force on your seed money severely impede the exponential process. The numbers would AMAZE you. I guess I don’t understand how an insurance company makes money via stock options? This is my question as well. I actually used to work for a life insurance company and they invest in the same things you speak so adamently against; stocks, bonds, real estate. I understand they are playing the law of averages but how you can make so much more money in a whole life policy then by investing in the ‘market’ directly when the insurance company who is backing your return is investing in the ‘market’? Seems the return would be less as you are involving a “middle man”. And don’t say that insurance companies can invest in things individuals cannot. That used to be true but not so much anymore. Individuals can now invest in private placements, both equity and debt as well as private real estate deals. The benefit I see to adding an insurance company into the mix is to mitigate risk, not to maximize return. I believe higher returns could be achieved elsewhere but if we compared returns on a risk adjusted basis does it make sense. That’s would I would like to see, a risk adjusted rate of return for this program versus the S&P 500. Larry – Most people really appreciate a good discussion. Name calling does not contribute to a more educated information seeker. Although you may not know it, the insurance industry is one of the most regulated industries in America. They are regulated by each state and audited on a regular basis. They must maintain a statutory reserve to meet their financial obligations. In the 30’s it was the insurance industry that bailed out the banking industry. You would have just over $1.7 million in a Roth IRA if you contributed the same $10k per year at a compound annualized return of 8%. I’ve often believed that the two best assets to leave to your heirs are life insurance and Roth IRAs, both are income tax free. In addition, the emotions of fear and greed cause many to miss most of the huge run ups in the market but enjoy most of the crashes. I have to laugh when financial celebrities use the average returns (not compounded) of the 80’s and 90’s (12%) to tell people how to plan for retirement. If you know how to use a financial calculator, go figure the compounded rate of return of the DOW stock market index for yourself since 1900. You will be shocked at the real rate of return. Don’t take my word for it-do the math yourself. Stable, steady returns made possible with the right type of insurance policy properly structured for this purpose are quite favorable and should be considered as part of your financial portfolio. Is the same strategy available for a defined benefit plan with an insurance component? If so I’d certainly like to hear more. I made the mistake of putting life insurance into a qualified plan years ago and then they changed the rules and I had to come up with $300K to buy it out of the plan. Besides, the GOVERNMENT controls the money in qualified plans, NOT you! They can and do change the rules whenever they want. They control how much and when you can access your money. Life insurance puts YOU in the driver’s seat. Don’t fall for this trap. And compare Bank On Yourself to 401(k)s and other qualified plans here. I must be missing somthing here in comparing qualified plans to BOY, at my age (72) my whole nest egg(90%) is in qualified plans (there isn’t much choice when you are working except to contribute to a qualified plan or lose big time to taxes). If qualified plans and BOY cannot work together there is no other source to fund BOY. Depending on the situation, qualified plan monies are often used to fund a Bank On Yourself policy. At your age, many people are moving the funds from their retirement accounts as a lump sum into a type of whole life policy specifically used for older folks. I’ll be writing about this more soon, but in the meantime, you can find out how much predictable, guaranteed income the policy would throw off for you when you request a free Bank On Yourself Analysis. For the record, there IS a better alternative to funding a qualified plan while you are working – fund a Bank On Yourself policy with those dollars instead, even the employer match isn’t worth it for most people – based on actual results over the past two decades. And Bank On Yourself gives you 18 powerful advantages and guarantees. No other financial product, strategy or vehicle can match it – or even come close. “There isn’t much choice when you are working except to contribute to a qualified plan or lose big time to taxes” When you contribute to a qualified plan and deffer the taxes it may sound good up front but you will pay much less taxes on your “seed” money when you earn it than on your lifelong “harvest” when you retire. Thanks Dan! Just doing my part, when I can, to dispell the many myths out there about Bank On Yourself…. Financially speaking, personally, it’s the best thing I ever did for myself, and if I can help others understand it better, then more people can reap the benefits and in the meantime reduce our country’s reliance on big banking! Thank you Catherine! It definitely can be frustrating. Thanks for your kind feedback. how is that different than if i just put $10,000 in any other investment for 35 years. At 4% i would have $765,000. Is there another advantage that i am missing here? Bill, There are lots of advantages and guarantees the Bank On Yourself method has that no other financial product or strategy can beat. Learn about them here and keep in mind that if you use a strategy that really can match or beat the advantages of Bank On Yourself, we’ll pay you $100,000 cash! Thanks to Pamela and Rose for their explanation and examples to clarify what “BOY” is and how it works. My question is, do you open just one account to service a college fund and other expenditures as given as examples here? After having read about Bank on yourself you have gotten my interest. That is why I am meeting with one of Pamela expert financial consultants this monday 2/13.. Can’t wait to hear how this program works. And to Pamela and all of her possy thanks for spreading the wealth.. Knowledge is POWER !!!!!!!!!!!!!! Tony – you are most welcome! It warms my heart to see people like you who actually follow through on the knowledge they gain! What are the name of some of the Ins. Co. you use? Keep in mind that just knowing which companies to use isn’t enough. Your advisor must ALSO know how to properly structure the plan or it will grow much more slowly, lose the tax advantages, or both. A properly trained advisor also coaches their clients on the best ways to use the policy to maximize the growth. I can tell you, however, that the Bank On Yourself Authorized Advisors only use companies that rank in the top 3% of all insurance companies in terms of financial strength. And they have all paid dividends every year for at least 100 years. If you’re a financial advisor who’d like to apply for the Authorized Advisor training program, you can find out more about it here. I’ll admit, this concept seems appealing on the surface but its really just the same recycled garbage that the whole life industry has used for years to rip off middle America. As a fianncial advisor that does what’s right for clients 100% of the time, I only sale term. The more whole life you sale, the easier my job becomes because when clients see how they are being ripped off to make the insurance agents rich, they almost always switch to term and get more coverage for less money. The revolution that began with AL Williams has virtually destroyed the whole life industry and you may come up with a flashy gimmick to get some people back in but the facts are facts and it won’t work in the long run. P.S. whole life sales are up and term life sales are down as people are finally hearing the truth. I’ve been using BOY concept for many years. In response to Tom- ALW was defeatable by his own words, “Buy the cheapest term.” An independent agent using the same company that provided his term could beat his “prices.” (I did regularly for the “lock in insurability” type plan.) But the BOY concept is not a “price” game. It is a solid financial concept used by many to attain wealth (the money we keep) while providing Permanent protection. A simple example would be two 18 year old young men buying $100,000 of insurance. One buys term and by age 70 has SPENT $15,952, can no longer buy term, and has absolutely nothing to show for it. The TRUTH is its own defense! Paul – This is a great example! I don’t think I’ve ever seen it before – terrific post and insight! 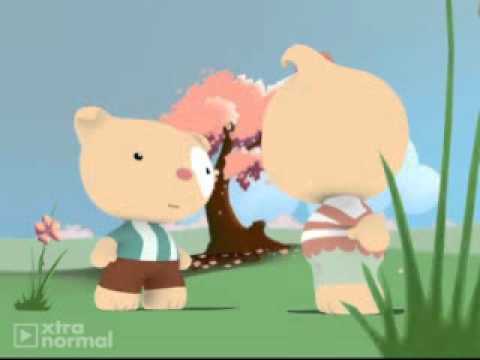 Tom: It is great that you sell term insurance. It is as great a concept as renting the place you call your home. Term insurance is a great tool for “short term needs”. It is a temporary solution for a temporary problem. The other problem is that another advisor will probably have to deal with your client when their term insurance expires and they find out it is 4X more expensive to renew it.. assuming they even can. I know few widows that tell me they are really in great shape and have all the money they will need for the rest of their life…do you? The fact is that buying term and investing the difference generally does not work. It is a dismal failure. In addition, do you think your clients would rather pay for their insurance with tax free dollars or after tax dollars. If you agree tax free may be better, than you may want to consider more education on how dividend paying whole life insurance actually works. Does this program work if it is started once you retire at 65 years of age? Many people age 62 and older start Bank On Yourself plans (I devote a whole chapter of my best-selling book to this). And there are special programs for people up to age 85. Remember, there’s a good likelihood you’ll live another 20-35 years, so you need to take action NOW if you want to make sure your money lasts as long as you do. The only way to find out for sure if you can benefit from Bank On Yourself is to request a free Analysis. Many of us come to the same conclusion after learning things through the school of hard knocks. The difference is that you’ve taken the steps needed to take back control of your financial future. It seems to me that Bank on Yourself plans may be great for small business owners but for people who simply want an income stream would best be served by using normal Fixed and Index Annuities as well as Variable Annuities that today have a “step up” rider that protects the legacy issue and can provide a substantial income stream. Annuities today are not required to annuitize thereby protecting the beneficiary. What the advantages of Bank on Yourself in these cases when borrowing money is a non issue? The income stream is all that matters and the annuities have the guaranteed growth. The return on a Bank On Yourself plan is higher than an annuity. You’ll understand the other reasons Bank On Yourself can beat annuities by taking the $100,000 Challenge. Okay. The deal is that the features offered in Variable, Fixed and Index annuities have improved drastically and dramatically. As you know these are insurance products as well. The caveat with Bank on Yourself is you have to maintain the policy in force and as far as the accumulated funds are concerned, they are not absolutely tax free depending on how a person accessed the funds. There are Variable Annuities that can and do exceed what Bank on Yourself can offer. Again, there is absolutely no reason what so ever to use Bank on Yourself if you are not a business owner. In addition, a person would already have to have a huge amount of money to place in an insurance account to make it worth while to borrow any significant amount. Then again, anyone can do what Bank on Yourself is promoting by following the practices using a combination of banking principles available today without using any insurance company as a partner. Again, the “step up” feature in a Variable annuity allows an investor to earn a guaranteed amount or market value. If a client does not have a business it makes absolutely no sense to use Bank on Yourself and have to tie himself or herself down with an insurance policy. I like the concept of Bank on Yourself but it is not the answer to everything and it is certainly not right for everyone. When you know how money really works there plenty of options out there to grow and protect income. The $100,000 challenge is rigged to make someone consider the borrowing principle. Again, in order to borrow a certain amount you have to have that amount of more in the separate account. If you don’t have you can’t borrow it. There are so many misconceptions in your post that I wouldn’t know where to begin correcting them. So I won’t. The joke would be considering Dave Ramsey and Suze Orman financial experts. I don’t think bankruptcy would add to the confidence to my peers. As for whole life, I LOVE it, so long as it is from the right place and used/sold in the correct way. One thing I hate about these “gurus” arguments is that they are all titled “term vs whole”. While the correct title should read “term vs permanent” anyway, my argument would be that most solutions involve term AND permanent. Why they argue one or the other is beyond me. I guess it’s the fact that they are not licensed or qualified financial advisers. I appreciate anyone that has the slightest clue what they are talking about, so thanks for the article. I’ll happily join the debate if it ever actually happens. For 27 years as a financial advisor, I’ve sold ‘buy term and invest the difference’; or I have used Universal Life. I now feel I’ve done a great disservice to many clients & missing out on Whole Life and the dividends they always pay. In the last year, I’ve become an authorized Practitioner of becoming your own banker for it’s obvious benefits to clients. My background is a Chartered Life Underwriter and I have a Masters degree in Economics. Just yesterday I helped a young married man age 32 with 2 kids, buy a $275,000 dividend paying whole life policy from a mutually owned company (one of the few in Canada) with a rider that maximizes the cash value and annually increases their insurance. I added a $1,000,000 Term 20 rider for him (his bride was uninsurable). Total cost per year is $11,148 until year 20. (He intends to use it for many living benefits discussed in your blog). After year 20, he will drop the term insurance rider and his cost will reduce to $10,343 per year until 75 — if he chooses to fund it that long. (This amounts to only 3.3% of his total annual income). In year 21 he can drop the $1M rider since his WL life insurance will have now grown to $1,163,873 (and growing), and have a cash value of $379,173 (and growing tax free), with the current dividend scale. By the time he is 75 (the new retirement age in Canada… LOL) he will have $1,489,604 in cash value for supplemental retirement income to draw on; and $2,340,425 of life insurance. At this point he will be withdrawing the funds rather than loaning them to himself. He can withdraw $101,702 for 20 years. (Please note that his withdrawals are NOT 100% taxable like withdrawals of most qualified ‘retirement’ plans). At age 96 he will still have $272,212 in cash and $296,323 in life insurance. Like the old saying: You Can’t Touch That! If my client where to follow Tom’s “doing what’s right 100% of the time” outdated way of thinking, and bought term insurance, of let’s say $1,250,000 payable to 75, my client would have to shell out $304,655, if he paid it to 75 — AND NEVER SEE A DIME OF THAT MONEY AGAIN! As you can see term insurance is extremely profitable for the insurance company which in turn allows them to pay nice dividends to us WL policyholders! The actuaries know the chance of a person dying BEFORE 75 is LESS likely than AFTER 75, and they’re still on the hook! So it’s best NOT everyone buy a dividend paying WL policy because they will NEVER be let off the hook. That’s why they love people like TOM who tell people “buy term & invest the difference 100% of the time”! Do you have any “single premium” plans? I do not want to commit to pay some money every year. Yes, we do, Sam. Learn more at Bank On Yourself for Seniors, to find out if this plan is right for you, just request your free Analysis. However, to fully take advantage of these the policy has to be structured correctly with the correct company. I’ll explain each one. Structured correctly: The policies can be geared to be more favorable with death benefit or more favorable with cash value. As an advisor I have sold both strategies depending on the client and what their needs are. In terms of generating a larger death benefit that will pay out eventually, the goal is to attain that permanent death benefit at the cheapest cost. For example Contributing $5k/year to a $500k policy. However, if you want the cash vaule to excellerate you simply stuff in more money i.e. $10k/year to the same $500k policy. Think of this like paying more on your mortgage. When you pay more on your mortgage you will pay down the principal faster. Same concept applies here. Now as far as it being structured with the appropriate company. The most important aspect here is that policy be through a mutually owned company not a stock owned company. The reason this is important as it relates to building cash value is a mutually owned company is owned by the clients. Stock owned companies are owned by stockholders. The goal for each company is to be profitable. The difference is what they do with the excess profits. A stock owned company will return the excess to the stockholders, and the policyholders get whatever is left over. With a mutually owned company all the excess profits are returned to the policy holders. Only about 5% of the industry is mutually owned, which is why most of the policies out there don’t perform very well. And to comment on the previous posts about what insurance companies invest in. It is true that insurance companies do invest in stocks and bonds but they do have access to more unique investments that individuals could invest in, but lack the means to do so. Regarding stocks and bonds, a mutually owned company has a completely different time horizon than an individual investor as well as a stock owned company so the investment philosophy is different. A large mutually owned company may have a time horizon of 100 years as opposed to an individual investor having a 20-30 year time horizon or a stock owned company having a time horizon of 1 quarter to show a good quarterly earning report. Because of this they can invest differently. For example, I know there are some mutually owned companies that are still collecting on money market returns from the 80’s when interest rates were paying over 10%. In a nutshell, people are pooling their money to an insurance company with the belief that they can invest the money better then they as an individual can. And frankly when a company has billions of dollars per month in cash flow, they generally can invest better. When the company generates a rate of return within their own portfolio they then return the money back. The reason this is housed in life insurance is life insurance has it’s own section of the tax code, section 7702. Feel free to read more about this to understand it. In summary, I am an advisor who practices what he preaches and my wife and I contribute 10% of our income to this type of strategy. I don’t know Pamela, but she appears to be very knowledgable on the subject. However, I do respectfully disagree that this should be where you put all your money as everything has different pros and cons. This should be an environment to store your safe and secure dollars as you will not hit a home run with the rate of return in this environment. The best performing companies have ,maxed out in dividend interest rates ranging in the 12-15% range. However, you will never strike out either. Even in 2008 it was very common for dividend interest rates being 6-8%. So this is a very steady predictable place for individuals to store money. So, we currently fund our own BOY starting at 42 years of age…I’m *so* glad I was turned on to this info a couple years back (it does take awhile to investigate this to the point of confidence). My question: I’d LOVE to educate and sell BOY out of the pure joy of helping people take control of their finances. However, I’m just a web/marketing manager with no banking or insurance experience. Is this a pipe-dream to pursue? If not, what major steps/hurdles do you see in my way that I could chip away at? It’s so nice to hear from you, John! Glad to hear you are now a Bank On Yourself Revolutionary! Being an Authorized Advisor does take a lot of training. Even experienced advisors typically need a year of specialized training in how to help clients implement this strategy successfully. Normally a year of experience in financial services is required to be accepted into the program, so I might suggest contacting the Advisor who helped you with your plan to see if they might be willing to mentor you. Thank you so much for your kind words! We do have very knowledgeable Bank On Yourself Authorized Advisors in Canada. To get a referral to one and a free Analysis go to /analysis-request-form. Daniel, you make the mistake that all ins. agents selling indexed U.L. make: you use HYPOTHETICAL illustrations of the stock market to show the prospects what a great return they can get by purchasing indexed U.L.. First of all, the illustrations you use are hypothetical as I stated above. Secondly, it is based on PAST performance of the stock market. You should know that past performance is no guarantee of future performance!